Team Losi Racing Aluminum 48 Pitch Pinion Gear. 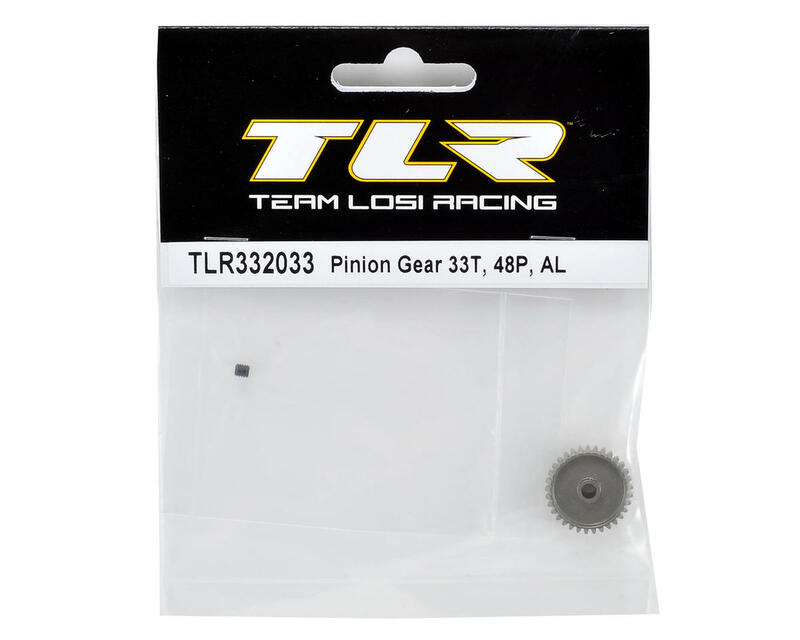 This gear is the perfect choice for any Team Losi Racing 1/10 scale vehicle that uses 48 pitch gears. 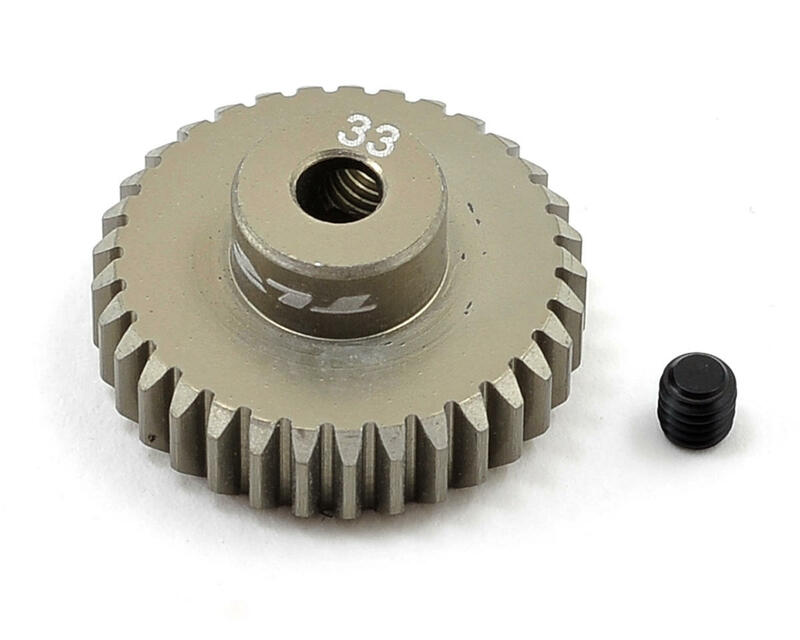 This pinion gear has been machined from high quality aluminum, and hardcoated for durability. Choose from multiple tooth count options to fine tune the gear ratio of your vehicle. Package includes one pinion gear and one set screw. In my opinion, these are the best pinions made. the beveled edge allows for an easier to set mesh point with the spur gear. Also, the bevel rides in and out with the rotor as it fluctuates with throttle. These are better with the standard Losi Spur or JConcepts silent speed spur, but work well equally well with the AVID triad set-up. Love these gears. Run them on my XB4 mod or stock. Just seem to be the best on my spurs. Price is good too! i have several brands of pinions,but the LOSI ones are lightest and best machined. they run quiet and very smooth,easy to adj.changing over to all LOSI brand pinions. Great quality, precision part from TLR. Does exactly what it should. Great gear and weight, but not ment for power. I had 2 shred spurs in both sworkz s104 evo and an eb410 running 6.5 motors. Just to much power for the metal as they turn into a saw blade, only visible from looking with the motor hole in the center.